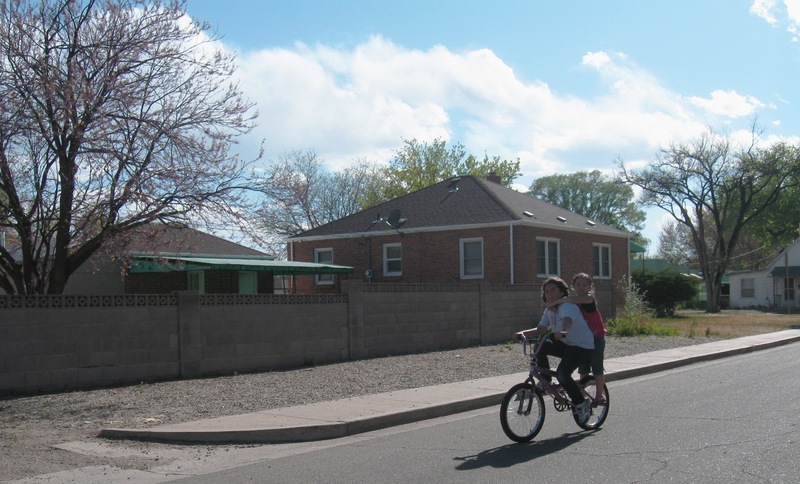 In America, most adults think that riding double on a bicycle is only for kids, that it's unsafe and/or illegal. It is illegal, but it's not only for kids, nor is it unsafe if done correctly. In Latin America and Asia, riding double on your bicycle with your girlfriend/boyfriend is considered quite romantic. There are a couple of techniques for successfully riding double. The passenger sits on the toptube while the other person pedals and steers (photo). I've often seen a towel wrapped around the toptube to add a bit of cushion for comfort. The passenger rides on the bolts of the rear wheel axle (above) and puts their hands on the shoulder of the other person. Often extensions are added to the bolts to make it easier to stand on. The passenger sits on the handlebars of the bicycle, while the other person pedals and steers (photo). Limited visibility can be an issue. Neither person is a passenger, both are active riders. 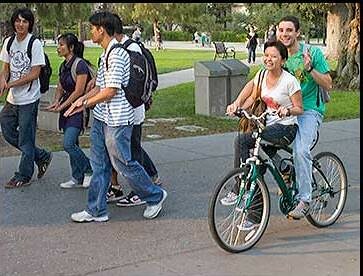 Cross hands on the handlebars, each person takes a pedal, and they alternate moving up and down like pistons (photo). I call this the "double pump". Definitely the most difficult technique, but by far the most rewarding, it feels wicked once you get rolling.. 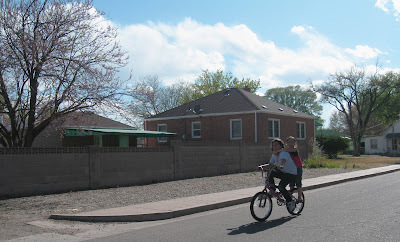 The least exciting way to ride double on a bicycle is to buy a tandem (photo). Hello,very good know about your post. Absolutely riding double is not unsafe or illegal. Its very good to ride along with your partner or friend. The mind and the soul both feels charm within that. Thanks for your post. If you or someone you know is interested in learning more about road cycling and putting it into practice, this is their event. We'll discuss the basic rules of the road, bike handling skills and rider essentials. Afterwards, we put it all together in a safe and supported group ride. Riding double with your mates or friends is not so safe specially for the kids.who knows about future?accidents can be occurred at any moment so be safe at riding but never stop it! !